Before you start this process, make sure you're using a Supported Web Browser Type and Version. Users and Administrators are prompted for an email address. The password reset email is sent to valid JumpCloud administrators or users. After the password is reset, the change affects any service endpoints the user is bound to. Tip: If a user account is locked due to repeated failed login attempts, their account can be unlocked without the user having to reset their password. See Unlock User Accounts for details. Be aware that resetting a password for a JumpCloud administrator also resets the administrator account's MFA TOTP key. 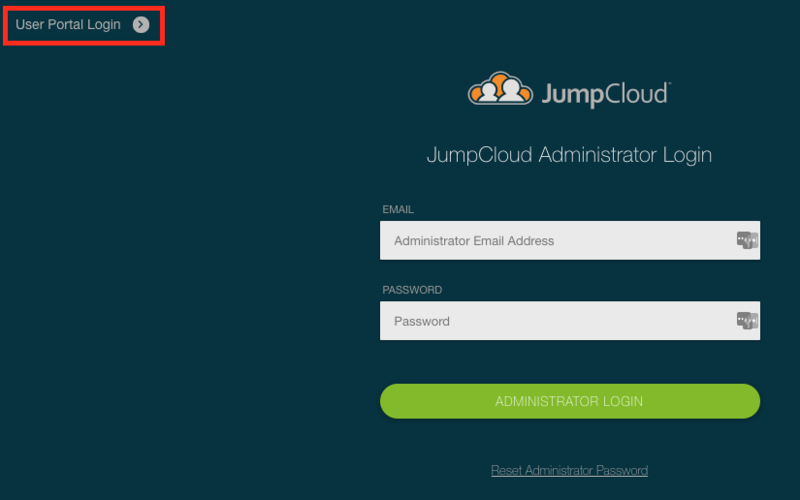 See Resetting a User Password to learn how to reset passwords for JumpCloud users. ​Click the Administrator Login link. Click the Reset Administrator Password link. Enter the email address for your administrator account in the Email field, then click Send Reset Request. For user accounts that use MFA, be aware that when an account password is reset, only the account password is reset. The MFA TOTP key is not reset. For instructions on resetting MFA for a user, see Resetting MFA for a User. 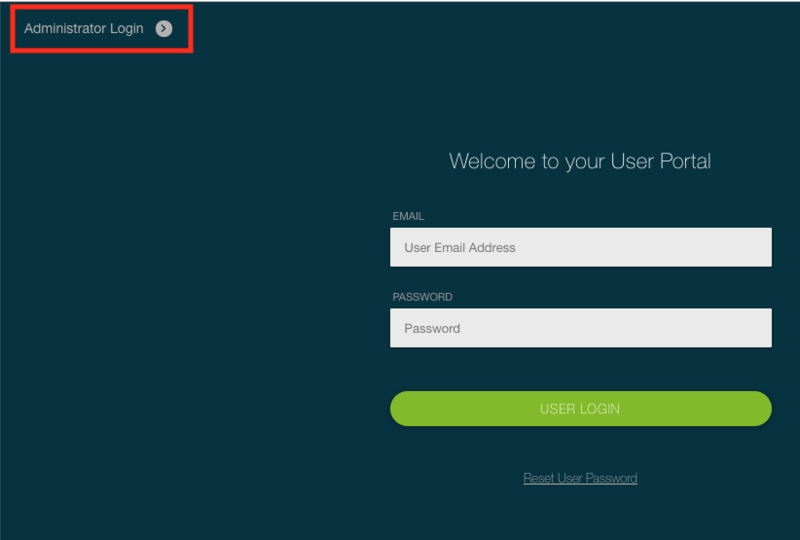 If you are on the Administrator Console login page, click the User Portal Login link. Click the Reset User Password link. 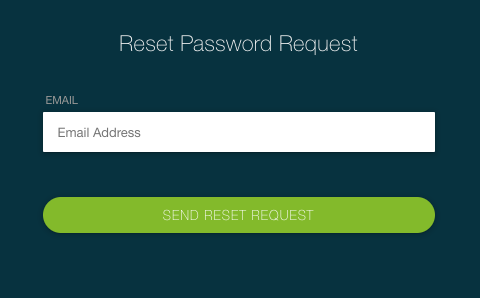 Enter the email address for your user account in the Email field, then click Send Reset Request. 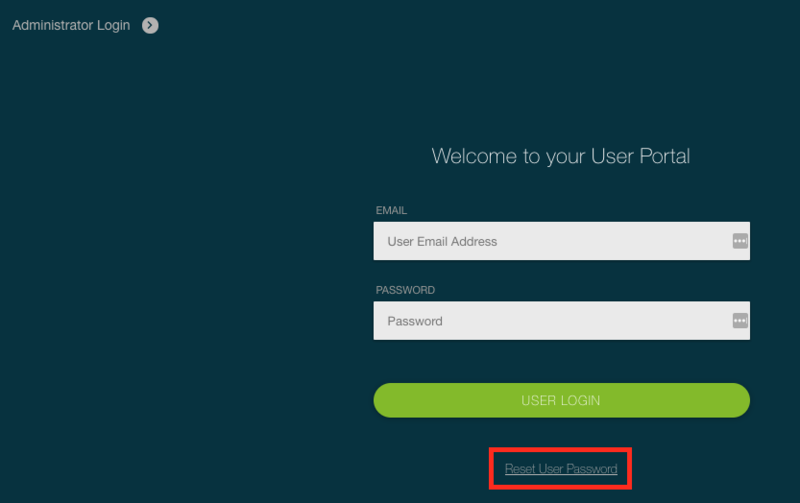 If the user has MFA enabled for the User Portal, they are required to enter a TOTP token as part of the password reset. Windows users can also reset their passwords from the User Portal. See Resetting Your Password for Windows Users. Mac users can reset their password from the JumpCloud App. See Resetting Your Password for Mac Users. 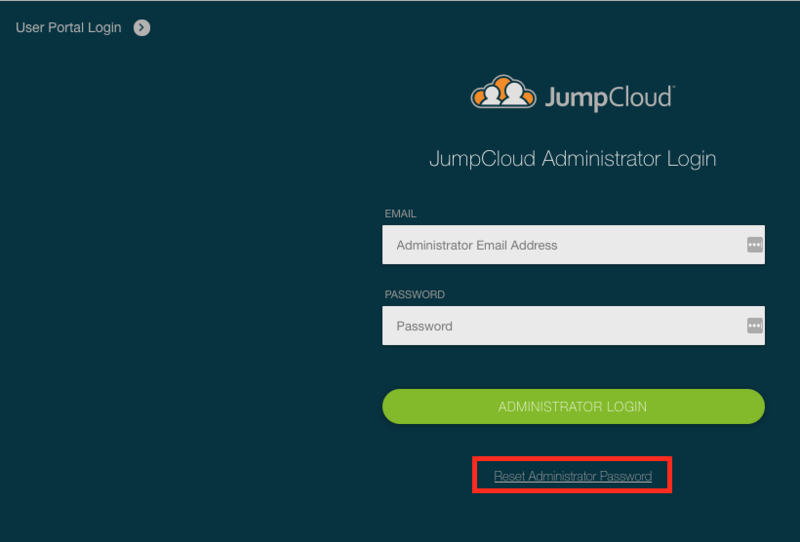 JumpCloud Administrators can reset MFA for a user from the user's details or from the Users list. Go to the Users list. Select the user that needs to reset their MFA. 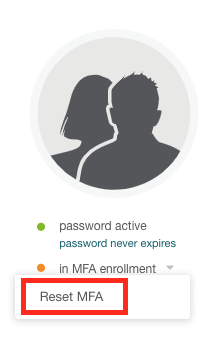 Click on their MFA status, then click Reset MFA. The Reset MFA on Users dialog appears. Read the contents of the Reset MFA on Users dialog. Set the enrollment period for the user. Click reset. You are notified of a successful MFA reset. Select the user or users that need to reset their MFA. 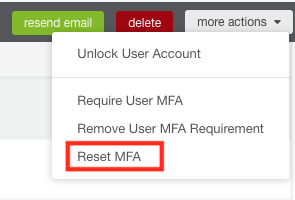 Click more actions, then select Reset MFA. Read the contents of the Reset MFA on Users dialog. Optionally, apply an enrollment period of 1 to 365 days for the user. Click reset.